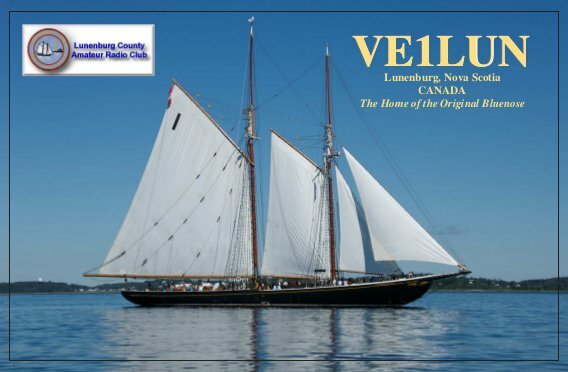 Welcome to the website of the Lunenburg County Amateur Radio Club. We are located in beautiful Lunenburg County, Nova Scotia, Canada. Regular monthly meetings are held from September to May on the third Wednesday at the REMO Center in Bridgewater, starting at 19:00, all are welcome to attend. Are you interested in becoming a Radio Amateur? The Club is offering the Canadian Amateur Radio Basic Study Guide for purchase by anyone interested in becoming a licensed amateur. Price is $40.00 per copy plus any applicable postage. Courses can be held in the area for prospective hams as demand warrants, use the E-mail link on the right for further info.